At Advanced Dentistry of the East Bay, Hayward dentist Dr. Gary G. Fong offers compassionate, comfortable and comprehensive dental care for you and every member of your family. Whether it’s time for your regular exam and teeth cleaning or you’re interested in cosmetic dentistry treatment, Dr. Fong and his friendly team are dedicated to providing outstanding dental care personalized for your unique needs and aesthetic goals. If you live in the Hayward, Castro Valley, San Leandro or Union City areas, please call 510-582-8727 to schedule your checkup or cosmetic dentistry consultation. Dr. Fong understands the value of your smile as well as the link between your oral health and your general health. He is committed to patient education and high-quality care that can improve the appearance of your smile, your dental health and your quality of life. 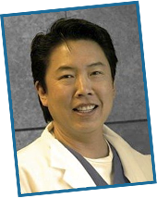 Dr. Fong and his caring support staff cherish the relationships we build with our patients. We also invite prospective patients to arrange a personal consultation to meet Dr. Fong and visit our accommodating office, which features state-of-the-art dental technology to provide you with optimal comfort and care. If you live in the greater Hayward, Castro Valley, San Leandro or Union City, California, areas and you’re seeking a dentist who will provide the individualized attention you and your family deserve, please contact Dr. Gary G. Fong today. Disclaimer: The information on this site about cosmetic dentistry is for informational purposes only and should not be perceived as medical advice. Gary G. Fong, DDS provides exceptional general and cosmetic dentistry services to individuals and families throughout the Hayward, Castro Valley, San Leandro and Union City areas. Call (510) 984-7766 for an intial consultation.This website is not intended for viewing or usage by European Union citizens.